Did you know that before the Food and Drug Administration went after meat, its first target was Coca-Cola? When Atlanta pharmacist “Doc” John Pemberton discovered a recipe for a tasty drink that did not involve alcohol in 1886, he mixed koa seeds with sugar, caffeine, carmel, citric acid, and a fluid extract of coca leaves, otherwise known as cocaine. The “secret recipe” still is known only to Coca-Cola insiders. Pemberton soon partnered with a Yankee advertiser named Frank Robinson, and sold distribution rights throughout the country, including use of 500 street car signs, hundreds of posters, and materials for almost every soda fountain operator in every major city in the South. When Pemberton died, Robinson allied with Asa Griggs Candler, who took over manufacturing. At that time, they began to look for ways to reduce the cocaine content. Pharmaceutical tests showed that the amount of cocaine in the drink was 1/30th of a grain of cocaine, meaning that a sensitive person might, after many drinks, feel some effects. But the federal government, especially the new Food and Drug Administration, was unrelenting. In 1909-1910 the government, no longer able to claim there was any coke in Coke, initiated a series of charges against the company over the process used to get the cocaine out. Dr. Harvey Wiley, a zealot in the food reform arena, was an activist who most of all was interested in promoting his own bureau. 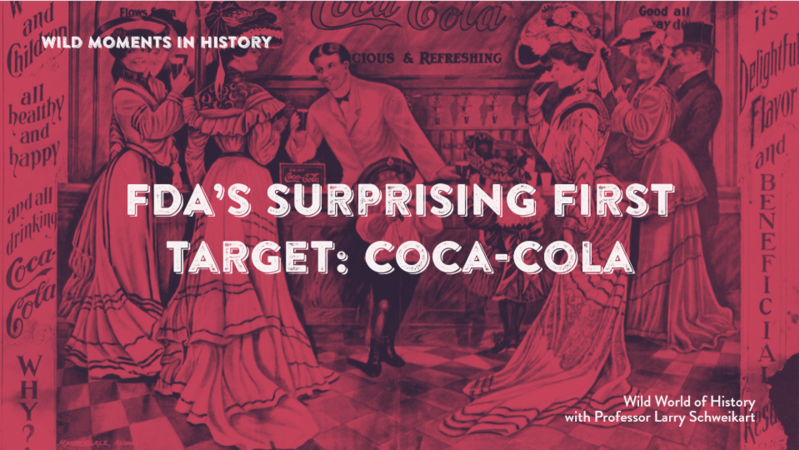 In 1922, Wiley brought Coca-Cola to trial in Chattanooga, by which time the product contained no cocaine at all but the government now claimed Coke was “misbranded” because it did not contain cocaine and was “adulterated” by adding caffeine.